Built to honor the beauty of the surrounding area, The Lodge at Whitefish Lake is a true escape from everyday life. This chalet-inspired lodge is designed with a sophisticated blend of elegance and rustic styling that extends to your private residence. In the warmer months, start your day exploring the surrounding nature preserve on a self-guided tour or in the state-of-the-art fitness center. Take a refreshing dip in the azure waters of Whitefish Lake at the private beach, sink into the soothing lakefront or indoor pool and hot tub, or stop by the full-service Marina, where you will find everything from kayaks to pontoon boats. Or plan a luxurious cruise on the Lodge’s 31-foot yacht. When the weather turns cold, a full complement of winter fun awaits. Whether you prefer skiing and snowboarding, or cuddling up by a fire, there is a perfect escape awaiting you, with incomparable venues including nearby Whitefish Mountain Resort and Glacier National Park. No matter what the season, the on-site, full-service spa will revitalize you, and the galleries, shops and events in downtown Whitefish are beckoning you. 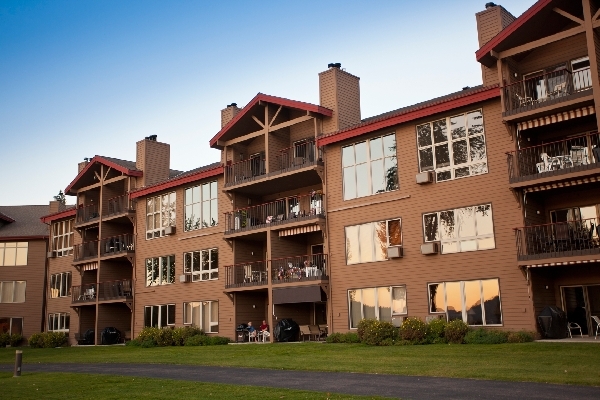 There is truly something for everyone at The Lodge at Whitefish Lake. Whitefish Mountain Resort: more than 3,000 acres of snow skiing, Nordic center, snowboarding, dog sledding, snowshoeing and snowmobiling.